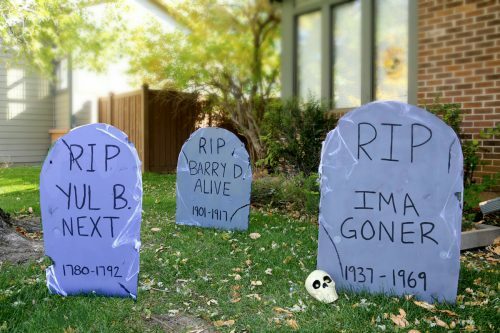 How To Make Tombstones | Easy Halloween DIY! 4. 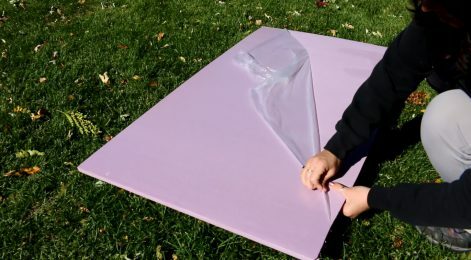 Use your Xacto knife to cut alone the line you just drew. 5. 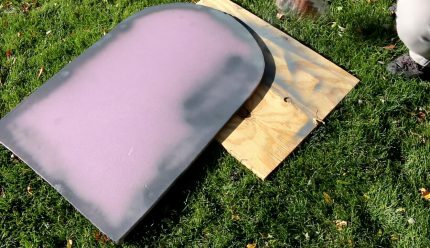 Spray paint the tombstone, starting with the edges. 6. 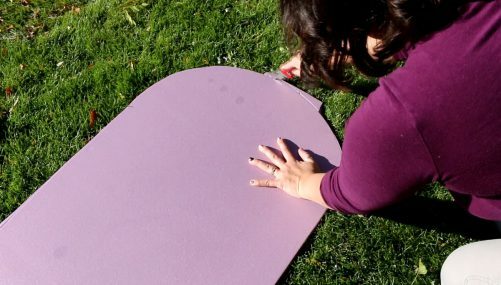 Use your screwdriver to cut out chunks from the side of your tombstone. 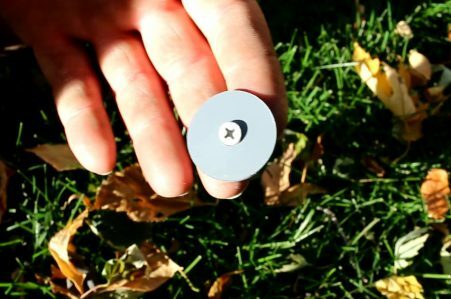 You can also drag the screwdriver on the front to make a crack. Use the screwdriver to dig out the crack so it looks more authentic. 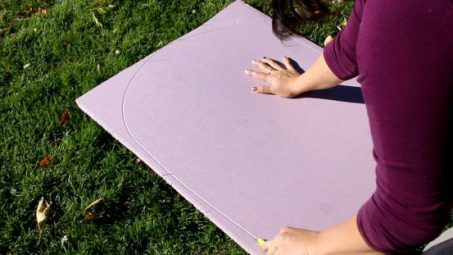 You may also want to scrap the edges of the tombstone so it looks older and beat up. 7. 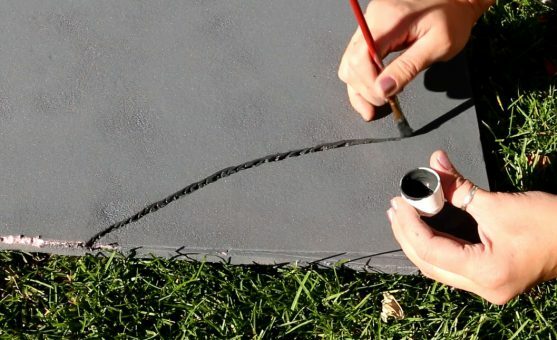 Use your acrylic paint to fill in those cracks and indentations along the edge of your tombstone. 8. Use your marker to write out RIP at the top and then add a name and a date. You can go with a serious theme or funny…we went with funny! 10. 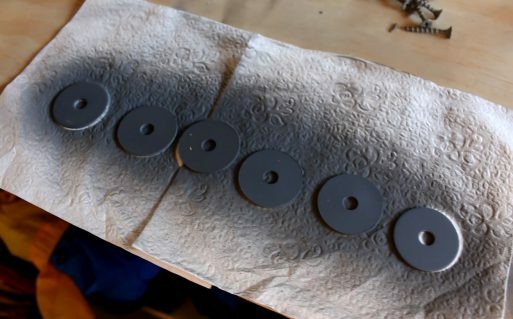 Spray paint your washers with the same gray spray paint. 11. Hammer in 2 of your steaks into the ground. 12. 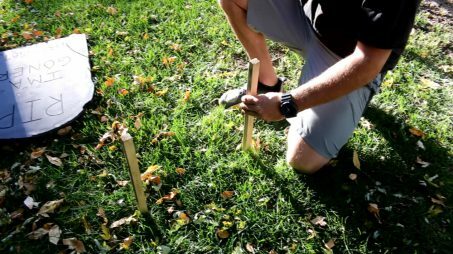 Using a washer and a wood screw, drill or screw them into the wood steaks, going through the front of your tombstone. 13. 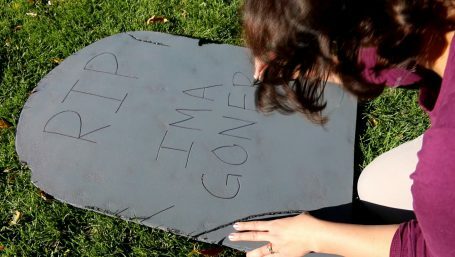 Optional – Add spider webbing to the edges of your tombstone.